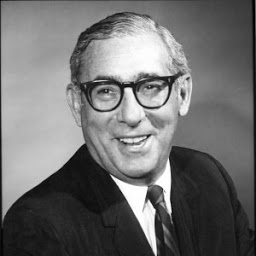 Cy Blumenthal (1913-1983) was a pioneer in Country radio, becoming the first man to own a chain of Large Market radio stations in the Country format. His first acquisition was WARL in Arlington, Va., in 1951, followed by the purchase of WCMS (Norfolk, Va.) in 1954, WHMS (Memphis, Tn.) in 1955, KCKN (Kansas City, Kan.) in 1956 and WABB (Mobile, Ala.) in 1958. Blumenthal began his career in radio in Chester, Pa., in 1949, where he learned the radio business from his brother-in-law. Some of Blumenthal's former staff includes Country Radio DJ Hall of Fame inductees Don Owens, Ted Cramer, Don Rhea and Joe Hoppel.